Preparing career ready students has become an increasing topic of conversation for all involved in higher education. Instructors at USC play an integral part in fostering skills to best prepare students for the world of work. In this session, we will go over the University’s employability model that incorporates career planning, relationships, experience, academic knowledge, transferable skills and emotional intelligence. In addition, we will discuss how you can incorporate the six concepts of employability into your classroom to enhance student learning and success. We will also discuss best practices when it comes to having career conversations with students. Lastly, we will provide resources that are available for you and your students to use to make the most of their professional experience. This workshop is an elective session for a certificate of completion in Fostering Proactive Learning Environments. In order to qualify for the certificate of completion, participants must attend four required courses and 2 electives. Ashley Byrd-White has been a Career Development Coach at the University of South Carolina Career Center for 3 years. Prior to her current role, she served the University of South Carolina students as a Leadership Coach in the Department of Student Life. She began her professional career in residence life in Buffalo, NY. Ashley received both her M.Ed. in Higher Education Administration and her B.A. in Psychology from the University at Buffalo. 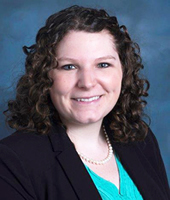 She received her Global Career Development Facilitator certification in 2016 and is a 2015 graduate of the NASPA Region III & SACSA New Professionals Institute. Ashley recently presented on USC's Career Champion program at NACE in June 2018.